We travel because we want to make memories. It's the reason we don't ever really buy gifts for each other on Christmas or anniversaries or birthdays. 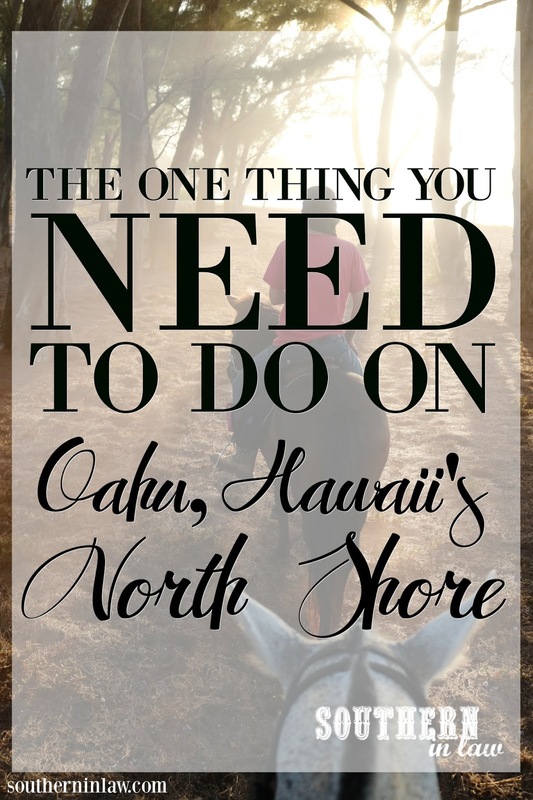 We're memory makers - and whilst we were on Oahu, we ticket one big item off the bucket list and made the most incredible memories. 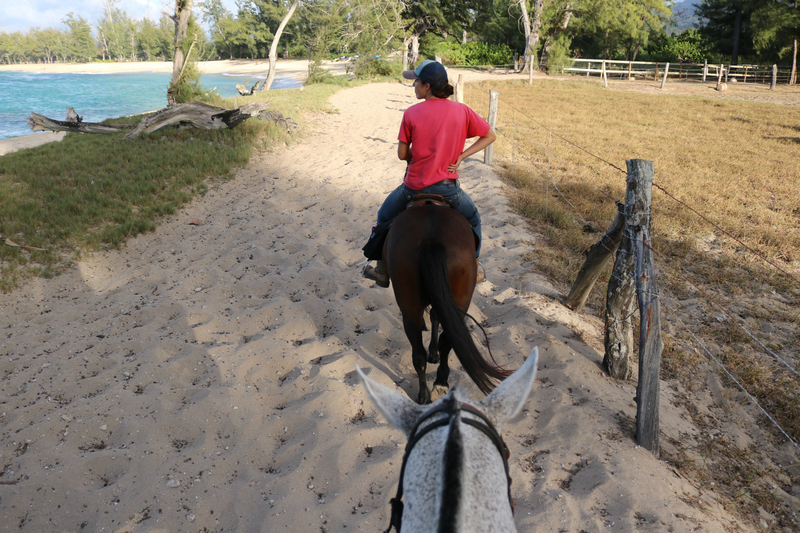 A sunset horseback ride on the beach. Sounds like the stuff of a Hollywood movie, but for an hour or so - that was real life for us - and it was incredible. We were booked in on the Oahu Sunset Horseback Ride (prices starting from $98) so we arrived around 4:30pm and had plenty of time to chat and get to know the horses and our guide Alex before heading out. 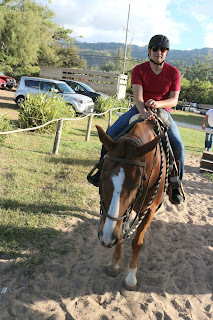 Jesse and I had never ridden a horse before. 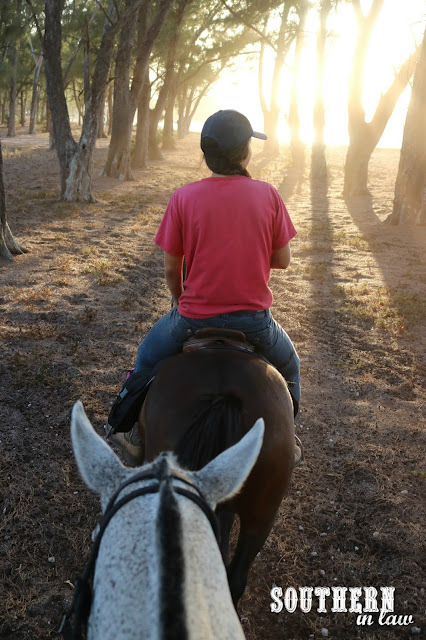 Sure, we'd been on pony rides - but riding a horse on our own with no one pulling or disciplining the horse? Nope. 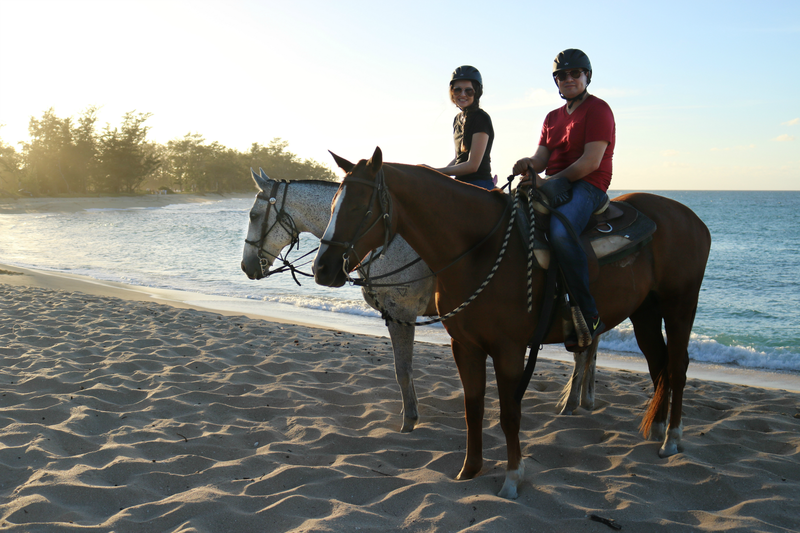 Luckily, Hawaii Polo Oceanfront Horseback Rides are prepared for newbies. 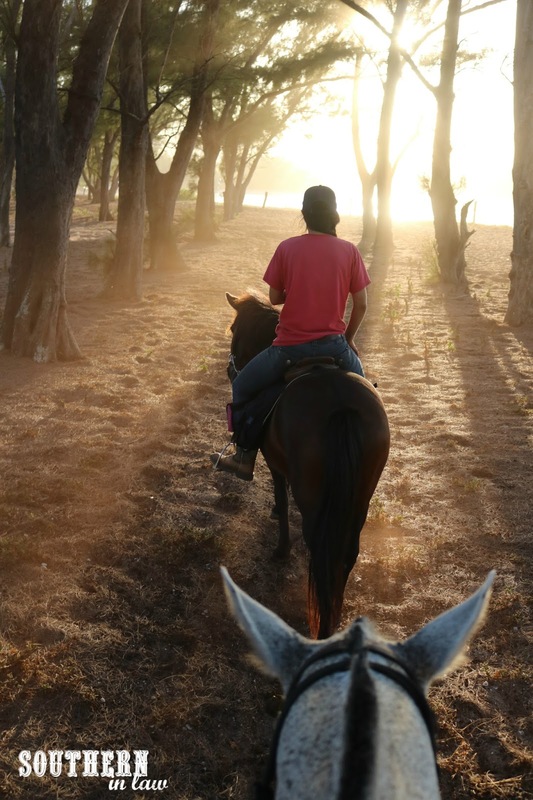 Their horses are ex polo horses who are exceptionally well trained - and the guides know the horses well so they will choose a horse to suit your needs. 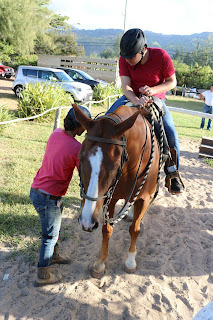 We got up on our horses, Alex adjusted the stirrups and we waited for our fellow riding companions to get settled on their horses. 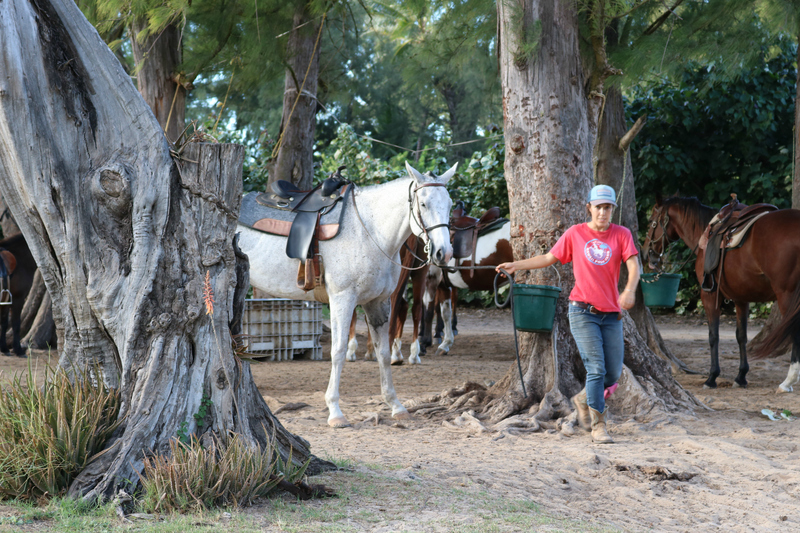 Whilst advertised as a group ride, Hawaii Polo Club only take small groups out at a time on their ride in order to offer the best experience for both the horses and the riders. 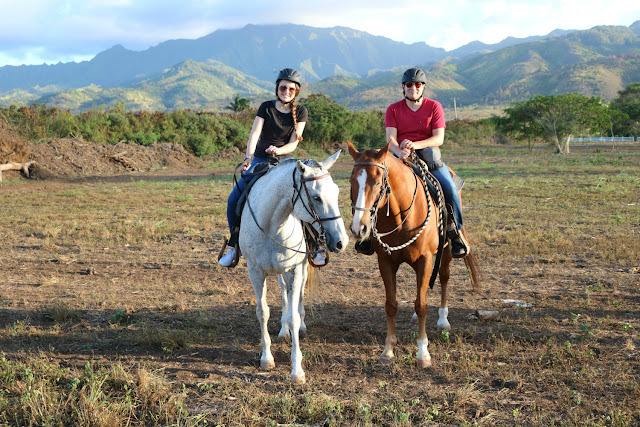 We had just two other people on our ride (a couple from the US who have their own horses) and Alex mentioned that a group of 4 was the norm. Before we knew it, we were ready to ride! We first had to head out over the polo field past a wedding that was happening at the club (complete with horses for the bride and groom's photos later on!) which Alex was a little worried about as Pony (the horse she was riding) was a little bit skittish and Jackson previously had a strange fear of plastic - and the plastic marquee where the bride's family were getting ready was flapping in the wind. Luckily no disasters were to be had and we passed through the wedding ceremony without an issue, heading straight for the sand. We didn't stay on the beach the whole time as it is a private beach, however, the beach was always just a stone's throw away and we had the most incredible mountain views as we wound our way through the track. 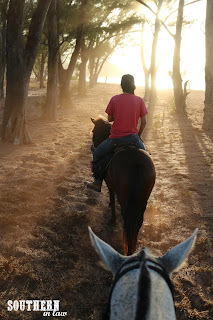 Alex was happy to take photos for us during the ride, stopping at the best vantage points to get some incredible shots. Luckily, that situation didn't have a chance of happening and all remained intact. 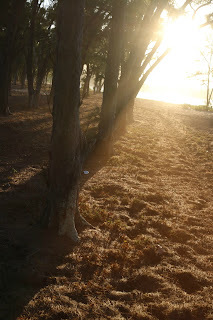 After getting our photos, we turned back towards the beach and saw this. The sun was setting and it was the perfect day for a sunset. Clear skies, gorgeous sunshine and the perfect weather. It was absolutely stunning and I wished I had a videographer behind us recording the whole thing - but my one handed pictures will have to suffice. We stopped for one final photo on the beach and then it was time to head back. Just like that, an hour and a half was gone. It was an incredible experience and one I'll be recommending to everyone I know that goes to Hawaii from here on out. 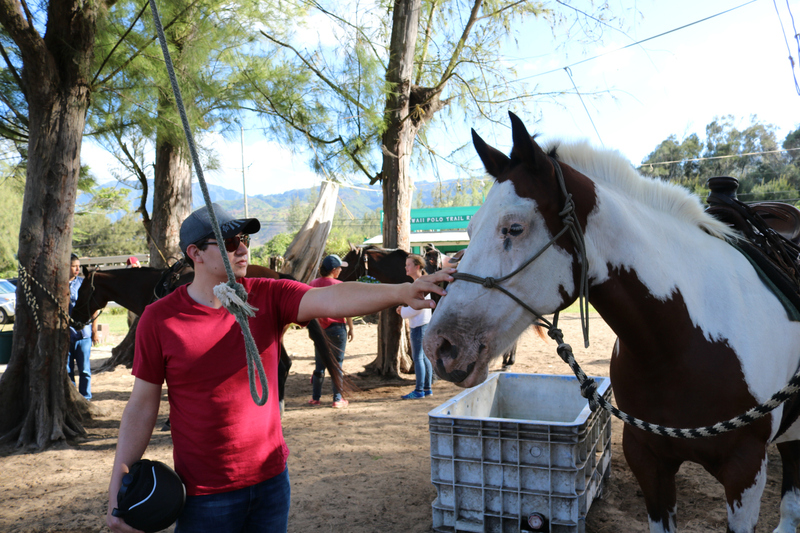 But tell me, have you ever been horseriding? What would be an experience that would be on the top of your bucket list?